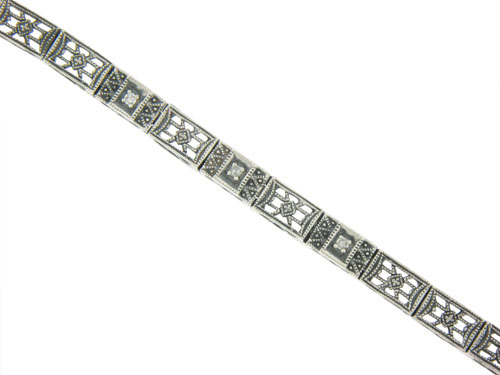 This elegant antique style sterling silver bracelet is comprised of alternating links of organic filigree and abstract geometric figures. Fine faceted diamonds and distinctive milgrain design decorates this intricate bracelet. The bracelet measures 6 3/4" in length, 1/4" wide. Finished beautifully with an invisible locking clasp.